Arguably the greatest spoof movie of all time, Airplane! stars Robert Hays, Julie Hagerty and the late, great Leslie Nielsen. 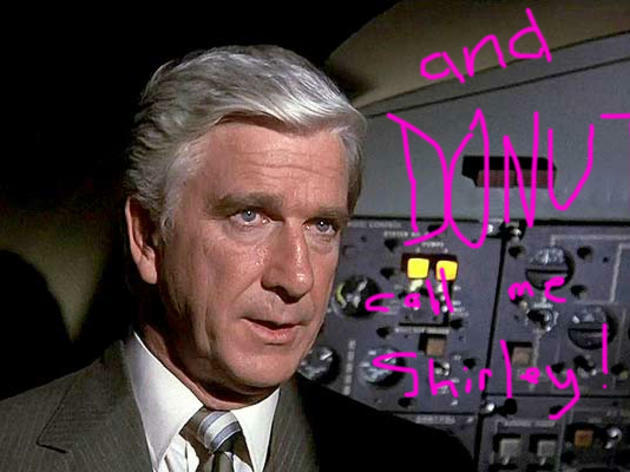 The 1980 comedy will have you laughing nonstop and maybe even reciting all the classically clever lines—from "I am serious ... and don't call me Shirley" to "Looks like l picked the wrong week to stop sniffing glue"—when it screens at the Electric Dusk Drive-In.